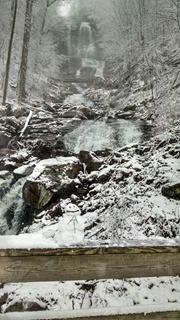 As with all of AppalachianTrailClarity’s articles, please note that this one person’s perspective. I am not an expert on anything in life but a lifelong learner in everything. These are mistakes I have made, still make, and those that I see others making as I work with new hikers ten hours per day, five days per week. Take this list with a grain of salt and use what you value, discard what you don’t. Hike your own hike, but do it safely while protecting our trail and leaving no trace that you were ever there. Clothes are HEAVY, so although you want to be prepared to stay warm in cold conditions, you don’t want to carry extras. Unfortunately if you’re starting right now (March), your pack is going to be heavier due to the cold weather clothes you’ll have to bring. Pack a base layer (thermals or UnderArmor cold gear top and bottom). Pack a pair of warm night clothes. I LOVED my fleece shirt and pants! Pack one pair of hiking pants and one hiking shirt. If it makes you feel better, throw in an extra t-shirt you can wear while washing your clothes in town. Socks – I suggest one warm wool pair for night sleep and two pairs for hiking including the one you are wearing plus 2-3 pairs of sock liners. Don’t forget your rain gear and down coat, one warm hat, and one pair of gloves. After a backpack shakedown with Clarity, Jackson rid himself of 11 unneeded pounds off his back! Yeah! 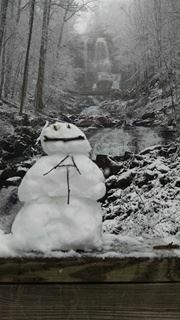 Clarity offers free backpack shakedowns at Amicalola Falls State Park. Come on by! Ouch! Painful feet can ruin a day pretty quickly. Take care of them! Trail runners are great for summer. Waterproof hiking boots are better for these kinds of cold, wet conditions. Today (a day in March, 2016) it snowed 3-4 inches at Amicalola in two sudden hours. There was never snow in the forecast today at all. Expect snow. Expect wet. Wet, cold feet equal problems. I believe that we met on the trail, last year… I think it was in Vermont. Yes, I remember you! Cool. Great article! I have my pack down to around 30 pounds and feel as ready as I’m going to be. If there is one weakness it is that I will try to do too many miles too soon. I keep talking myself down from it. Hopefully I will continue to have discipline once I hit the trail next weekend, haha.